1 - cap/s $10.95 ea. 2 - cap/s $8.95 ea. 4 - cap/s $7.95 ea. 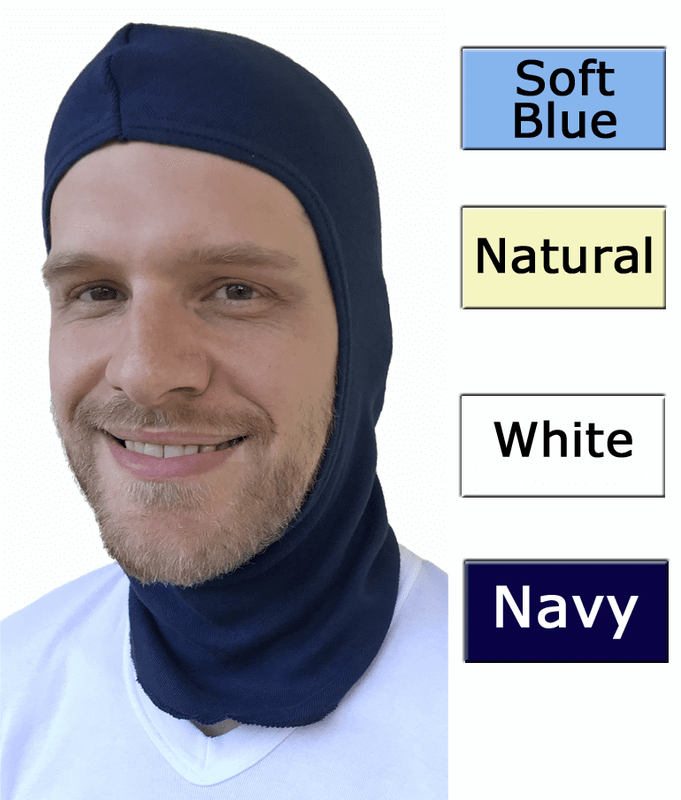 Wittmann Textile Company's Pure Cotton Knit Turtleneck Sleep Cap is quality made in the USA using premium, soft 100% ring-spun combed cotton knit! 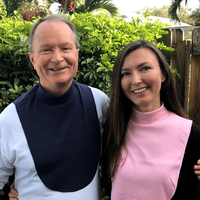 The exceptional popularity of the COMFORT CAP inspired us to design our trademark turtleneck style offering full coverage of the ears and neck as well as additional protection around the face. 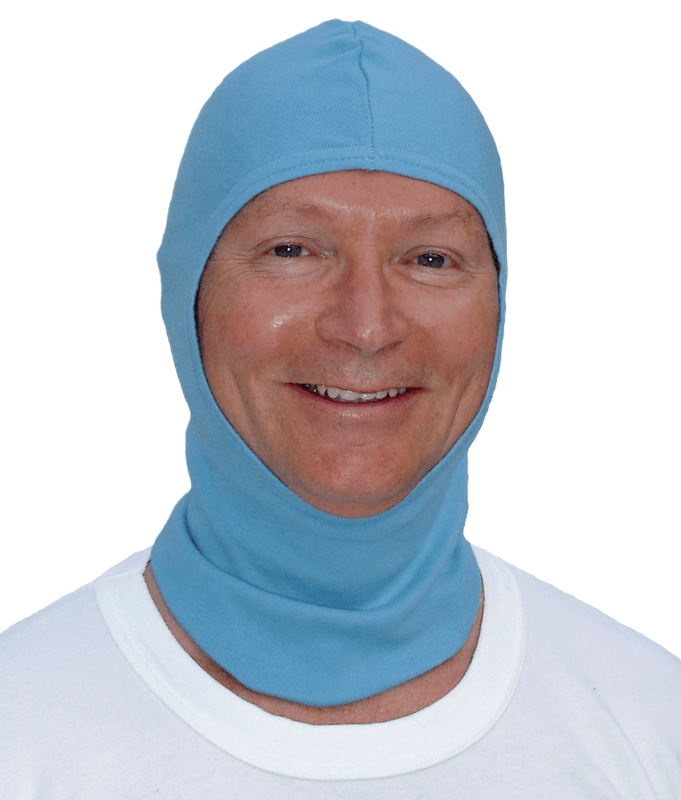 It surrounds the head and neck with softness and gentle warmth, yet it never constricts or binds. 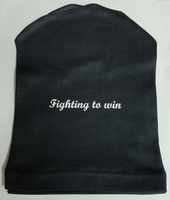 One size fits most up to size X-Large or hat size 7 1/2 to 7 3/4.. Colors - White, Soft Blue, Navy, and Natural (an unbleached and dye-free material); Black no longer available. Machine wash and dry. • Darker colors can act as a light shade. 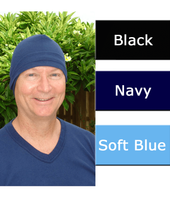 • Helmet Liner ⁃ makes a wonderful soft, bulk free, non-itch liner under wool hats or an additional layer under helmets for motor cycling, bicycling, snowmobiling, combat helmets, or hard hats. 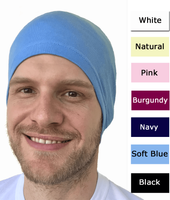 • Commercial/Refrigeration/Air Conditioning ⁃ many companies use our caps for their employees that need a soft layer of warmth and with our discounted dozen price save over other brands of headwear. • Sports ⁃ give your athlete that wears a helmet the advantage of having a warm head. 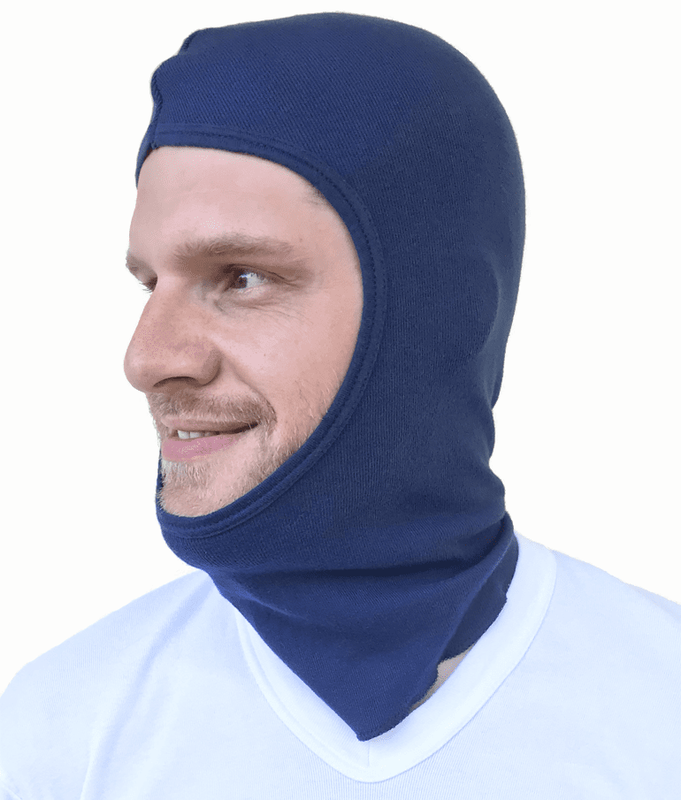 It won't cut down on hearing but add a layer of competitive warmth in a lighter version of the balaclava cap.